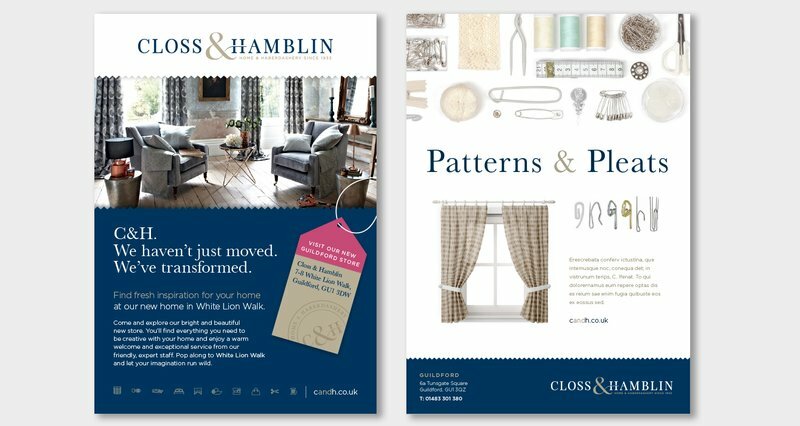 High street home and haberdashery experts - C&H (Closs & Hamblin) - approached Chaos to undertake a rebrand in 2016. Following the successful rebrand, Chaos have also helped to roll out the brand across their stores. C&H are rolling the brand out in their homestores across the country. 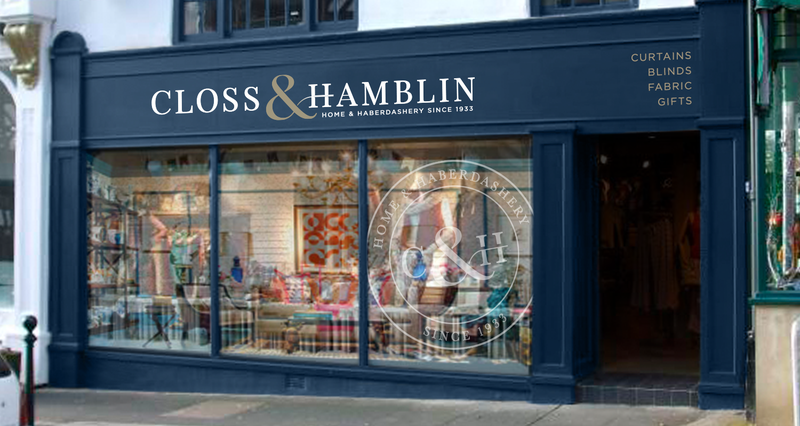 Family-owned high street retailer C&H were facing increased competition from more ‘home’ stores, so the need to elevate their positioning in the market was crucial. The brand needed to attract and resonate with new audiences, whilst not alienating their loyal customer base established over the years. 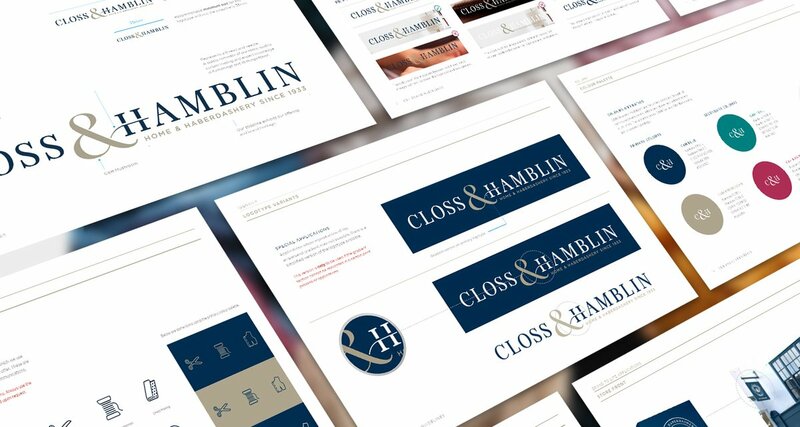 A traditional logo and look and feel was created to inspire both old and new audiences. 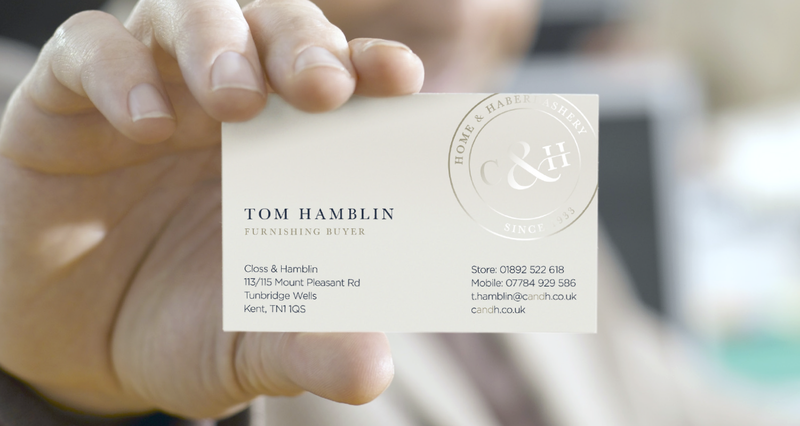 A sophisticated colour palette and styling further helped to bring this brand to life in a crowded market place.